Click here to read Sue’s inspirational story. Sue is a qualified Natural Health Practitioner registered with ATMS (Australian Traditional Medicine) & RAA (Reflexology Association of Australia). She is fully accredited within the major Health Funds to provide rebates under their “Complementary Health” cover as a qualified Reflexologist. Some of the major funds include: Medibank Private, Bupa, Teachers Health. Sue integrates a vast knowledge of techniques and practical training into her treatments from her Digestive Health Training to Mindfulness Meditation techniques. Originally a High School teacher, Sue continued her studies at Nature Care College, St Leonard’s to gain her professional qualifications. 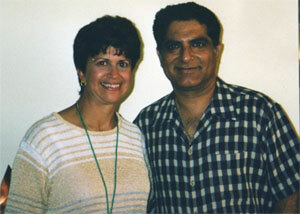 As an experienced mediator, training with Dr. Deepak Chopra, Sue passes on the benefits of meditation to her clients. With her knowledge of mind / body medicine and life skills Sue offers her support to uplift the body, mind & soul. Dr Deepak Chopra is a physician who trained in Neuroendocrinology (the study of brain chemistry). He has devoted his life to exploring the link between mental and physical wellbeing. Sue trained in his Advanced Meditation techniques in 1998 and has travelled to the USA to study at the Chopra Centre. Dr Chopra’s latest book “Super Genes” examines the “epigenetics of meditation and self directed biological transformations”. Sue includes techniques for her clients to address the 6 Pillars for Wellbeing: diet, exercise, sleep, stress, meditation, emotions. Sue completed in 2011, level 1 practitioner training for the Body ecology diet and program with Donna Gates, to regain gut flora through following the Bedrok program. 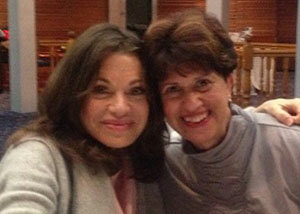 Over the years Sue has taught many how to cook and create healthy foods for digestive health. Exercise is so important to recovery of ones health. 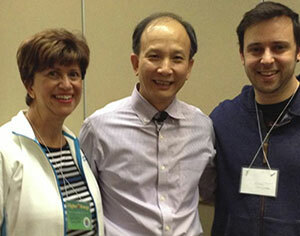 Sue has found great benefits from doing the 30 minute “breathing & movement” on the Spring Forest Qigong DVD. This also opens up inner healing so easily. Sue includes Qigong Healing in her treatments when required. Sue has also completed Level 1 & 2 Reiki. The latest studies reveal the power of our mind in healing and how to connect to this power. FACIAL REFLEXOLOGY – As taught by the founder, Lone Sorensen, this technique is a medical form of treatment for the whole body, even though it feels deeply relaxing for the client. Lone trained in many hospitals for those with brain injury and disability with specialist doctors from Japan and Asia to develop this specific treatment. Sue has found it offers many benefits to clients ranging from headache/migraine, sinus, eye and ear problems, nerve and muscle spasms to improved body functions. sue often includes facial reflex in a session with feet reflex. CANCER REFLEXOLOGY – The Chris O’Brien Lifehouse Centre has Reflexology as one of its approved Complimentary Health Services provided. Sue has trained with them to provide the extra after care to help patients feel better after their medical treatments.